All year I wait year in anticipation of eating that first sun-ripened tomato of the summer. Cherry, sungold, romas, early girls, and a variety of heirloom varieties start to show up at the farmers markets in NC late June. A sun-ripened tomato in the heat of summer is far superior to the ones you find at the supermarket all year long. You can definitely tell a difference in taste and appearance. 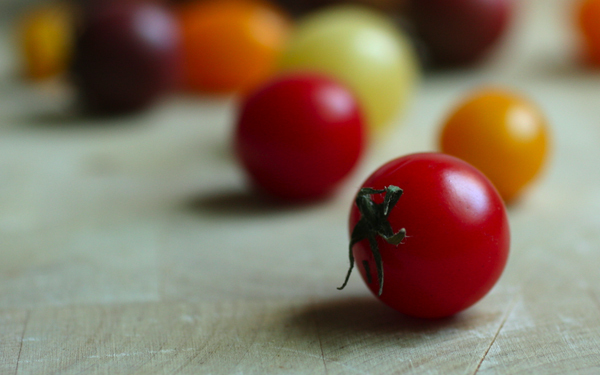 Tomatoes grown by local farms come in different shapes, sizes, and colors. The store-bought ones lack in flavor as well as vitamins and minerals. I don't purchase tomatoes in the winter unless they're heirloom or organic from Whole Foods or grown in hothouses by local farmers. I love tomatoes and always have. Eating a tomato sandwich in the heat of the summer sun was one of my favorite sandwiches as a kid. I didn't think much about where that tomato came from, but I knew it was special, since we only ate tomato sandwiches in the summer. As an adult, I pay close attention to where our food comes from. 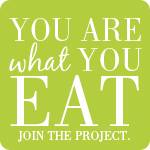 That's why I joined a CSA and support my local farmers markets as much as possible. 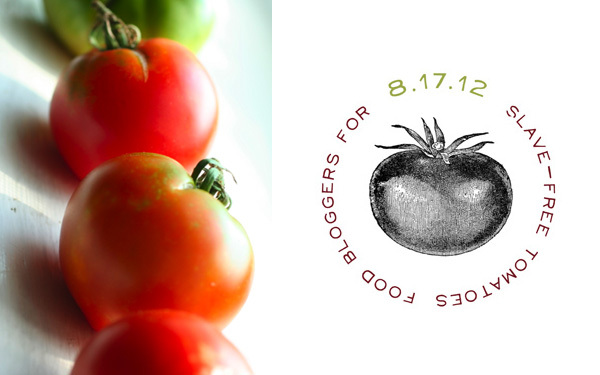 Nicole at The Giving Table has encouraged food bloggers to raise awareness about the modern day slavery that takes place in U.S. tomato fields. That's right, people are treated inhumanely to bring you those tasteless tomatoes year around in the supermarket. Slavery is not just happening overseas. Chief Assistant U.S. Attorney Douglas Molloy once called Florida’s tomato fields “ground zero” for modern-day slavery in the United States. In the past 15 years, over 1,000 people have been freed from slavery in U.S. tomato fields. Major fast food companies, like McDonalds and Subway, have already endorsed the Fair Food Program, but the largest U.S. supermarket chains have yet to support this collaborative effort to eradicate modern-day slavery. Please take 30 seconds, raise your voice, and sign your name to help ensure that supermarket tomatoes are slave-free! If you'd like to read more about this, follow Nicole here or pick up a copy of the book, Tomatoland. Purchase slave-free tomatoes at Trader Joe's, Whole Foods, or by buying locally at your farmer's market. Here's my favorite gazpacho recipe made with tomatoes from our CSA (which I picked myself). I've been making a batch of this almost weekly. I've also made variations by adding a stalk of celery and half a cup of shredded carrots. If you like your gazpacho thinner, add half a cup of tomato juice. Put all the ingredients in a food processor, except the olive oil. Blend for 10-15 seconds for a chunkier soup, and longer for a thinner soup. Slowly drizzle in the oil from the top of the processor. Garnish with jalapeño slices and cilantro. 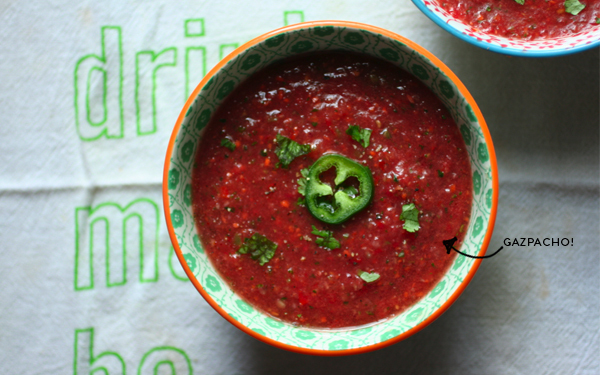 Your gazpacho looks fantastic- so bright and punchy with a nice texture and tons of flavor! I love a cold bowl of soup on a super hot summer day. 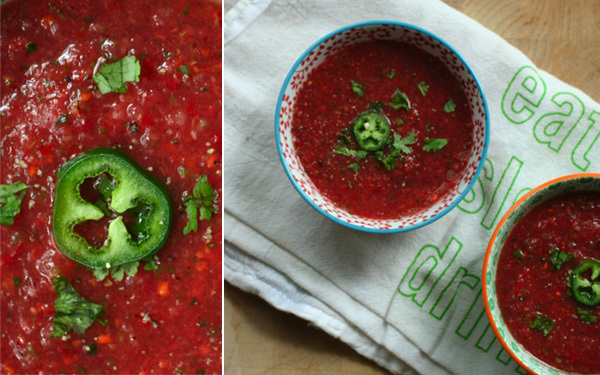 Love how bright and rich your gazpacho looks! Last week, I drove by a random tomato stand on the side of a road in a quiet neighborhood. No one was manning it, they left a scale and a sign that said 75c/lb and some used plastic bags. I had to make a turn, how can you resist that, right?